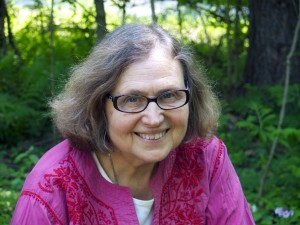 Mary Ellen Copeland is an author, educator and mental health recovery advocate. Her work is based on her studies of how people deal with life challenges every day, and how they go on to do the things they want to do and be the kind of people they want to be. Her focus is on shifting the system of mental health care and all health care toward personal empowerment, self-help, prevention and recovery through natural supports, education, training, and research. Over the past twenty-five years, Dr. Copeland has reached millions of people through her books, media and lectures, empowering people to use the techniques and strategies that others told her had worked for them in their own lives, and more recently to use the Wellness Recovery Action Plan as their personal guide to feeling the way they want to feel and making their life the way they want it to be. Mary Ellen developed WRAP in 1997 with a group of people who had lived experience of serious mental health challenges. WRAP is now being used by people and in groups around the world. WRAP has been extensively studied and is listed in the federal National Registry of Evidence-based Programs and Practices. To find out more about recovery, mental health recovery and WRAP explore this website for articles written by Mary Ellen Copeland and others, watch and listen to recovery webinars, read the stories of people who have used WRAP, and watch their videos. To find out more about WRAP and Mary Ellen explore this website. 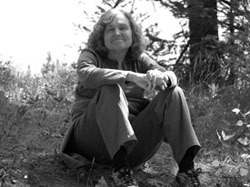 Go to the WRAP Info Center section of this website to see articles written by Mary Ellen and others or go to the bookstore to find books and media developed by Mary Ellen. Visit Mary Ellen on Facebook and join the conversation. For information about mental health recovery and WRAP training go to CopelandCenter.com.